Boston — Governor Charlie Baker today announced the appointment of Alison Schonwald, MD to the pediatric position of the Massachusetts Board of Early Education and Care (EEC). Dr. Schonwald is a Pediatrician in the Division of Developmental Medicine at Boston Children’s Hospital, and Assistant Professor in Pediatrics at Harvard Medical School. "We know so much about the importance of a child's experiences during the early years and the impact of those experiences on a range of long-term outcomes," said Dr. Schonwald. "I've been so lucky to train and practice in Massachusetts and I am now excited for this opportunity to give back by working with the EEC Board on behalf of children and families in our state." Dr. Alison Schonwald is a Pediatrician in the Division of Developmental Medicine at Boston Children’s Hospital, and Assistant Professor in Pediatrics at Harvard Medical School. Dr. Schonwald received her medical degree from Perelman School of Medicine at the University of Pennsylvania, and completed her Residency and Fellowship at Boston Children’s Hospital. Dr. Schonwald is co-director of training in the Developmental Medicine Center, is active in the American Academy of Pediatrics, and teaches human development at Harvard Medical School. Her clinical expertise include autism spectrum disorder (ASD) and psychopharmacology for children with disabilities, about which she lectures nationally. The Board of Early Education and Care oversees the administration of early education and care and out-of-school time programs in Massachusetts. Under the Board's oversight and regulations, the Department of Early Education and Care (EEC) licenses child care programs, residential programs, and adoption/foster care placement agencies; provides financial assistance for over 56,000 children to attend high-quality programs that support their growth, development and learning; and provides information and referral services, inclusive programming for children with special needs, parenting and family support, and professional development opportunities for early educators. The Board of Early Education and Care's mission is to provide a system of early education and care and out-of-school time in Massachusetts that provides all children with the necessary foundation for healthy and positive educational development and lifelong success. 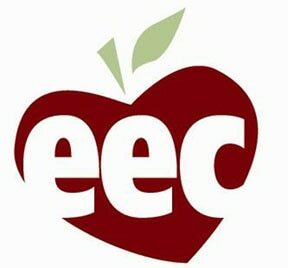 For more information on the Board of Early Education and Care, please visit: https://www.mass.gov/board-of-early-education-and-care.